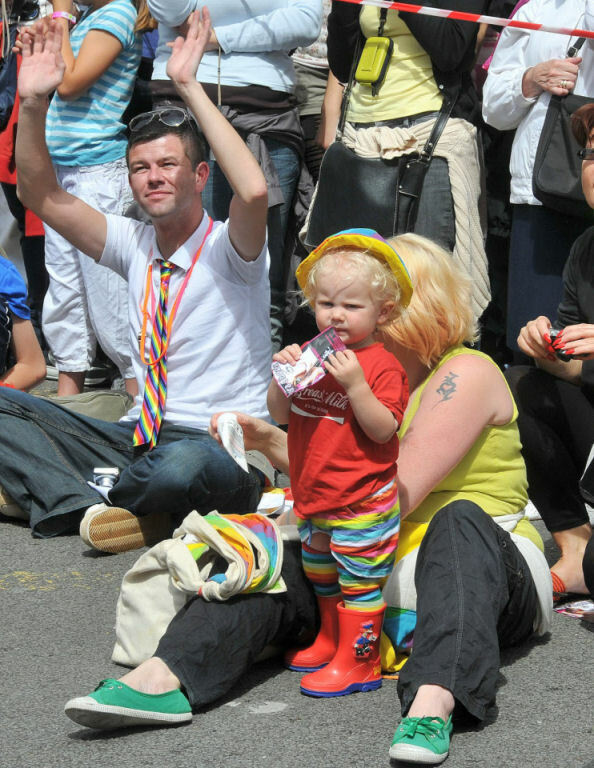 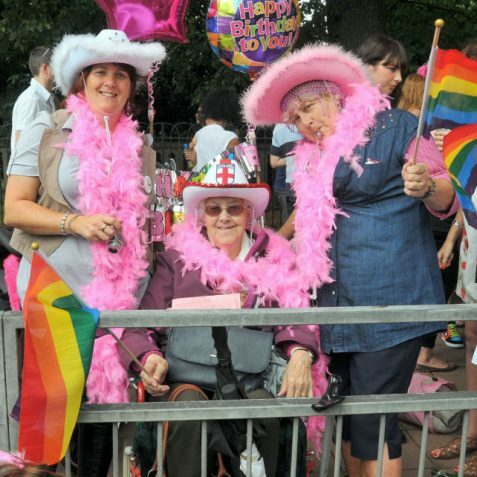 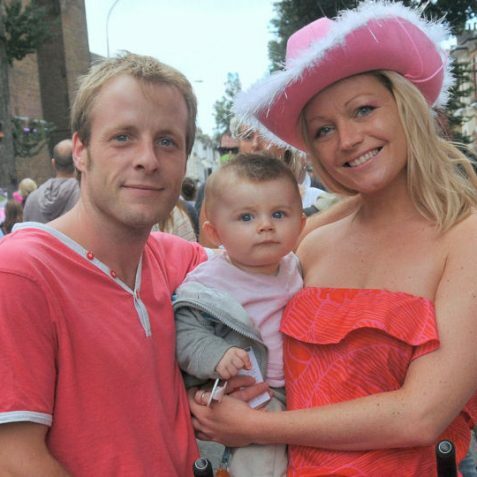 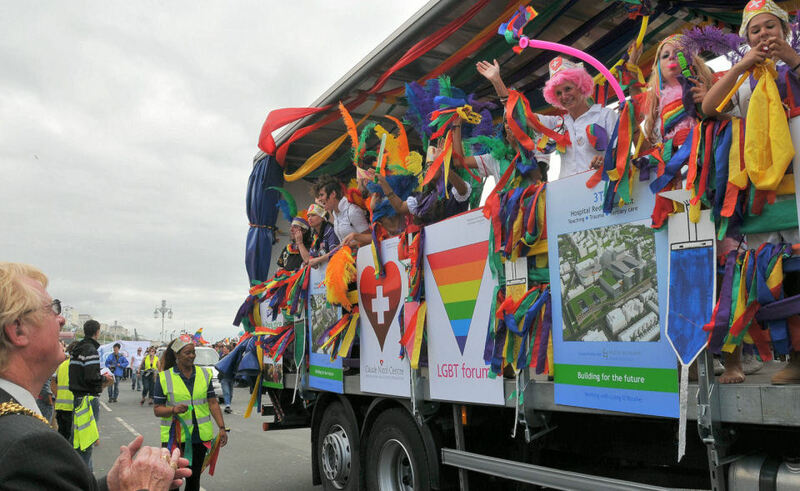 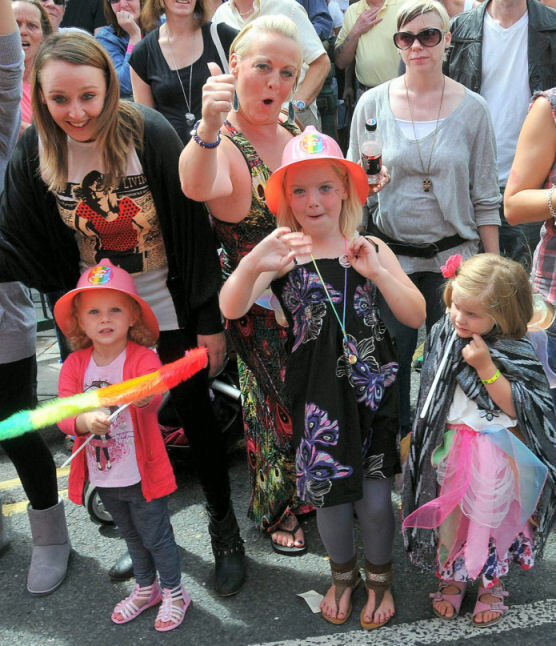 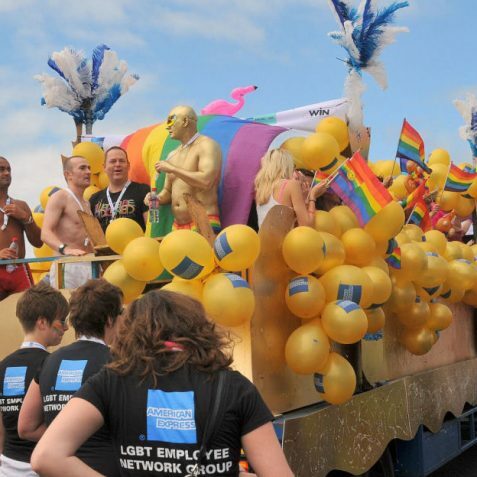 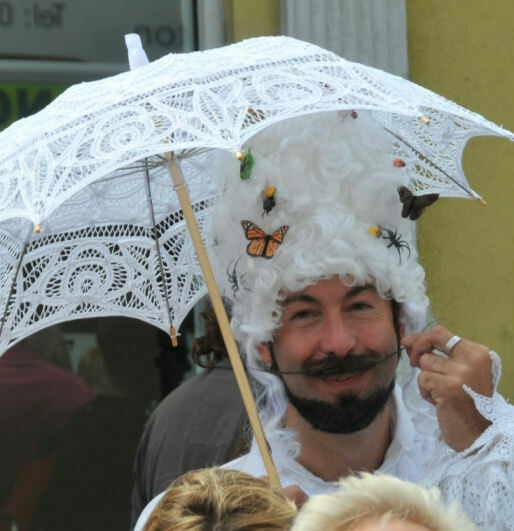 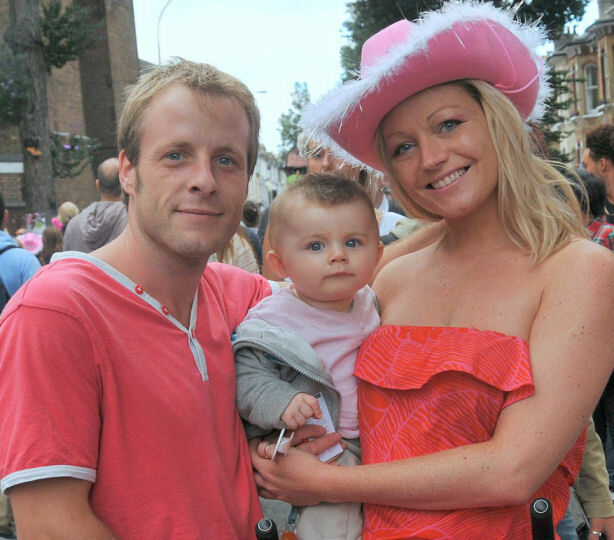 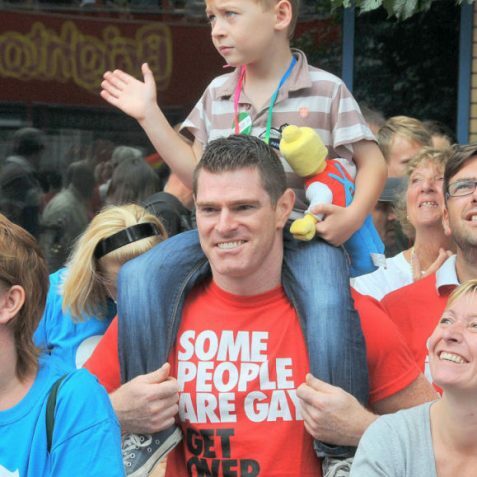 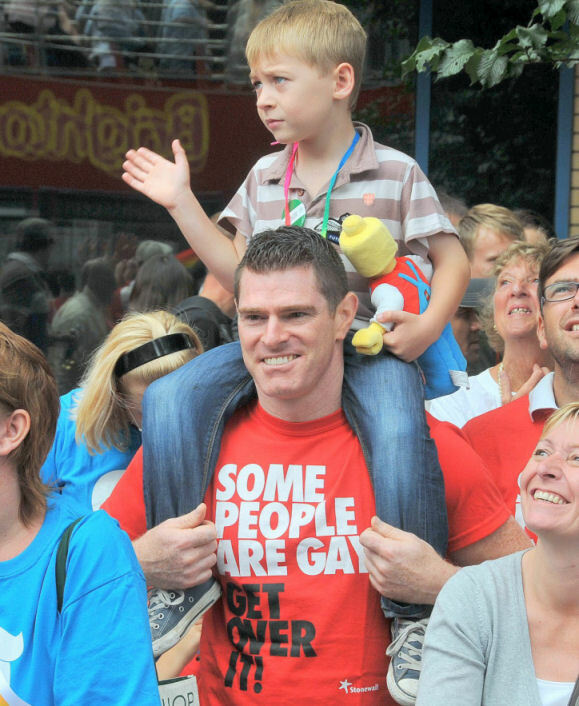 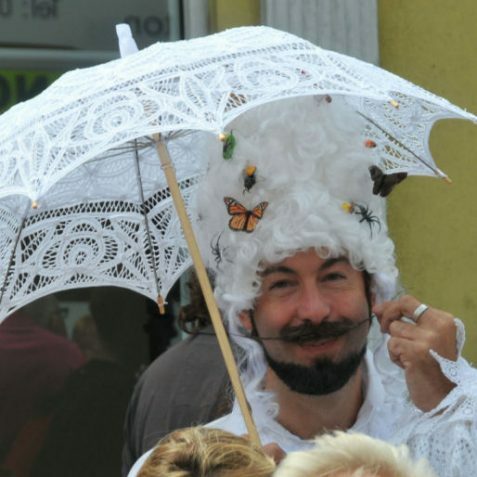 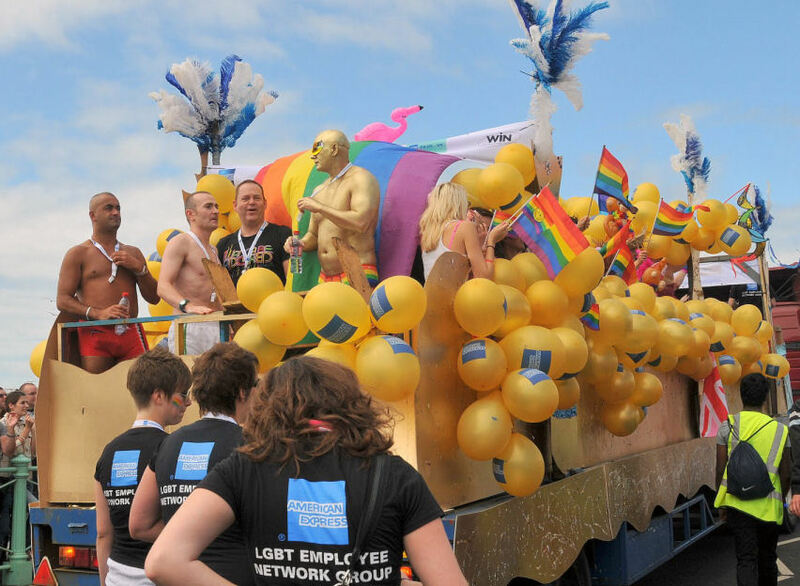 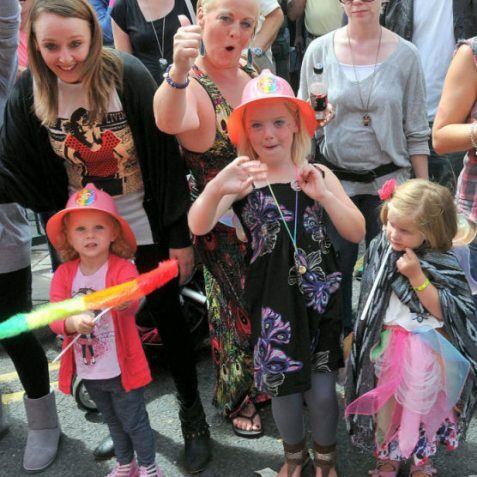 The theme for this year’s Lesbian, Gay, Bisexual and Transgender (LGBT) Parade was Pride and (No) Prejudice and involved entries from a mix of local community groups, businesses, individuals and national companies. 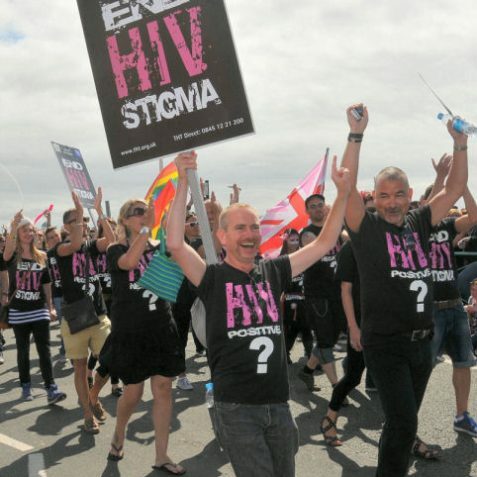 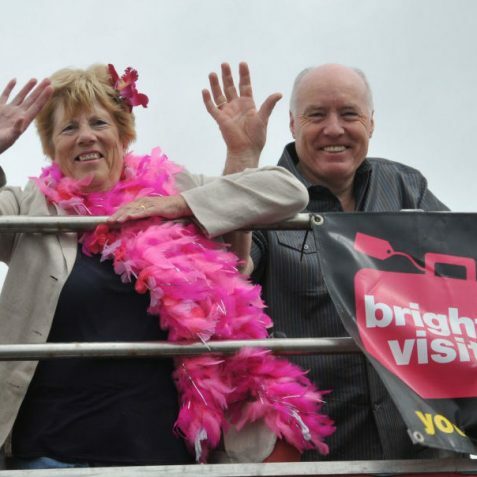 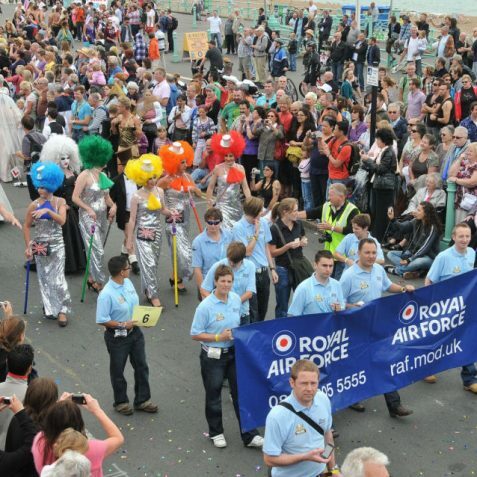 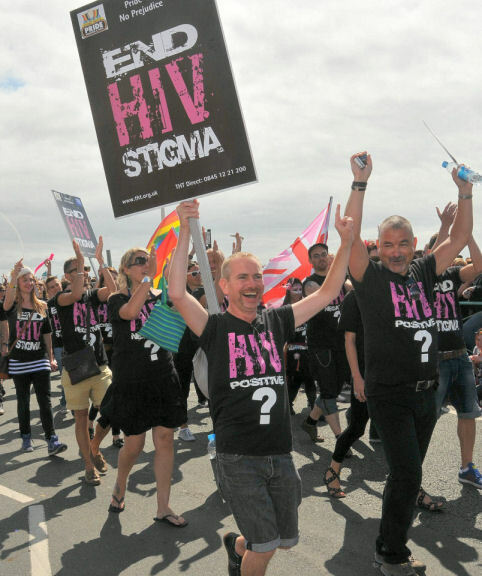 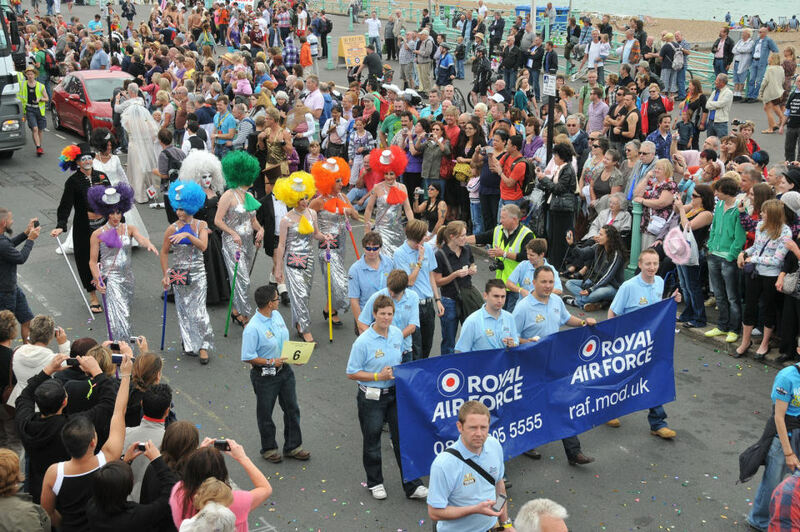 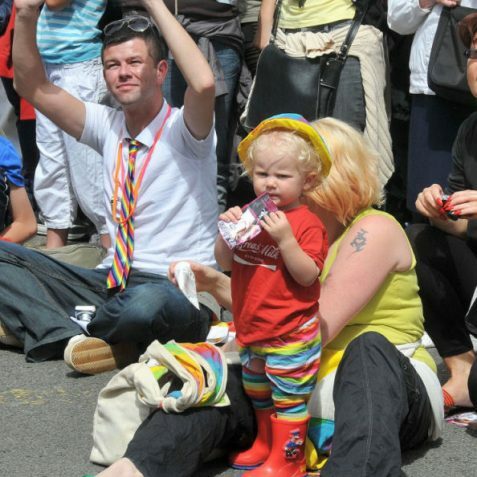 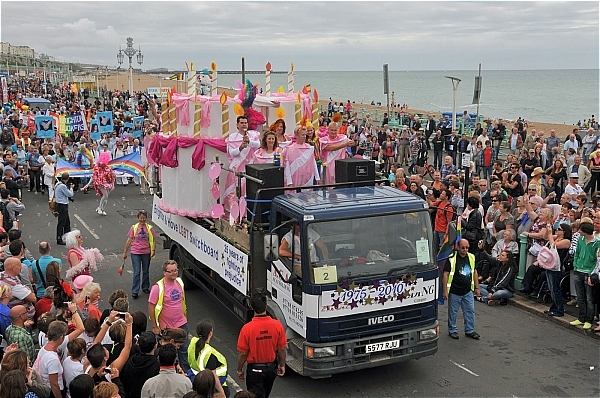 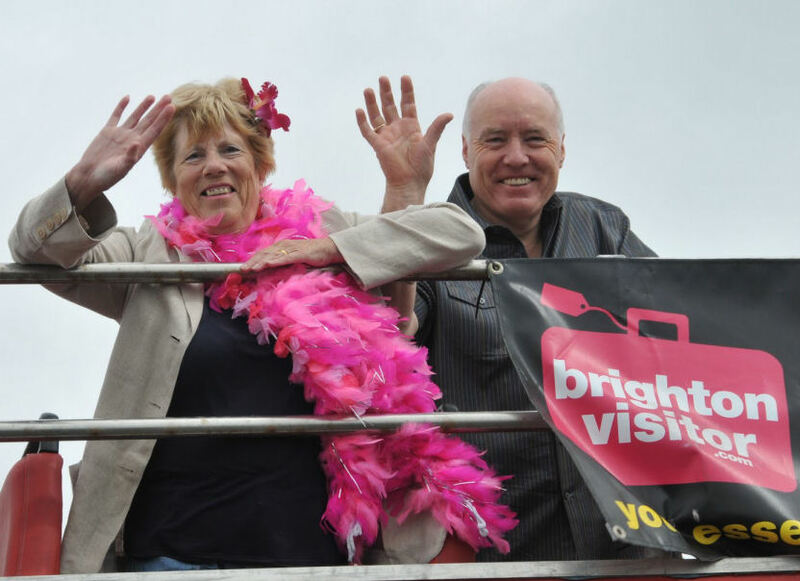 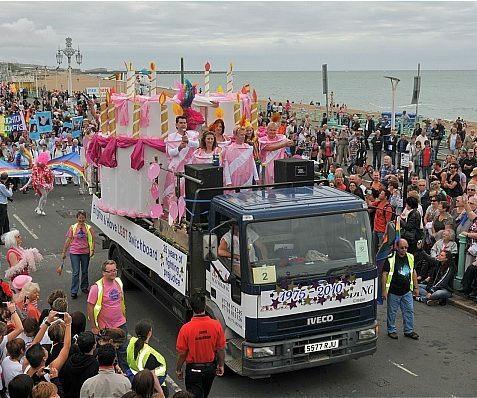 The Pride Parade set off at 11am from Madeira Drive next to Brighton Pier. 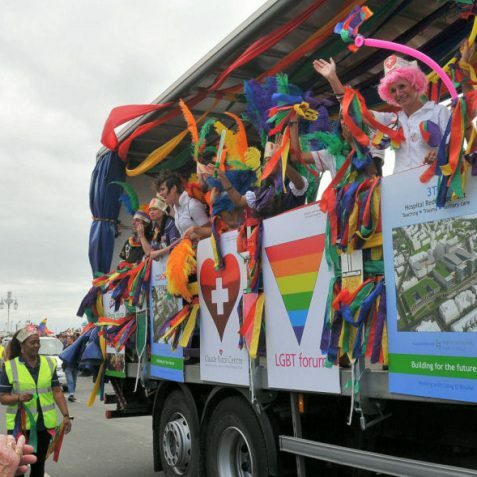 The route took it along the Kingsway, up West Street to the Clock Tower, down North Street, left onto the Old Steine, past the Royal Pavilion and along Marlborough Place, Gloucester Place, London Road, Preston Road, arriving at Preston Park from around 1pm. 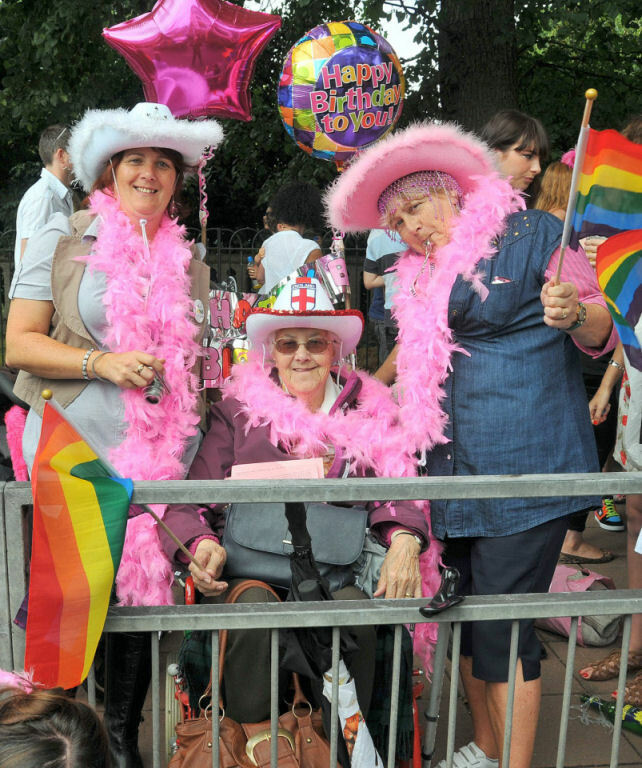 As our photo gallery shows, this year was just as colourful as ever and enjoyed by all ages, genders and sexual persuasions.